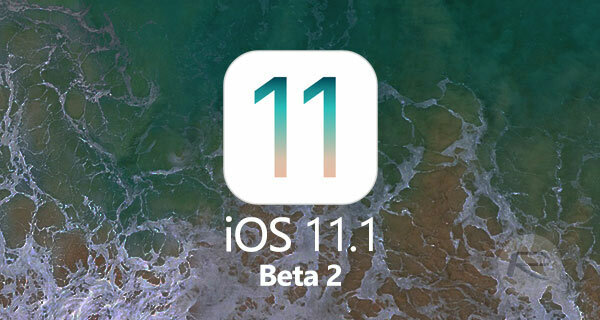 Download iOS 11.1 beta 2 for your compatible iPhone, iPad and iPod touch devices after Apple made it available today. The company’s latest pre-release seed is available with immediate effect for those registered on the Apple Developer Program. This is becoming common practice with Apple. The company goes through the process of testing and seeding a major new version of iOS to the development and public testing communities before finally releasing to the public for global consumption across compatible devices. It then seems that the company already has a notable update to that initial release in the pipeline which almost immediately gets pushed out to those aforementioned developers for testing and consideration. That exact process happened this time around with iOS 11.1 beta 1, and now we have this second beta to show almost immediate progression. The purpose of this second beta seed is to ensure that developers have the opportunity to get to grips with the software and see exactly what has changed and what has been improved. Apple sometimes doesn’t put the software through this process, as we witnessed with the almost immediate release of iOS 11.0.1 and then with 11.0.2, but the bigger updates generally need to go through this thorough process of testing and various iterations to ensure that the company gets it right when it comes to final release. What’s particularly interesting here is that we can generally expect at least one big improvement or feature addition with a release such as this, but that doesn’t appear to be the case with iOS 11.1. At least not yet. The official changelog which accompanied the original beta 1 release suggests that Apple has been making improvements under-the-hood with iOS 11.1, but that the iPhone-maker hasn’t introduced any real game-changing functionality. A number of issues around capturing content through the camera system have been identified and fixed. Apple has also taken the opportunity to fix some issues with how frameworks function within specific parts of the iOS SDK, such as Foundation. Anyone using an external GPS accessory can also now expect to get more reliable and better-reported data. As for changes in today’s beta 2 seed, Apple has introduced hundreds of new emojis as part of this update, but apart from that change, we don’t know yet what else is new in beta 2. We are currently in the process of installing the firmware and will report back of our findings shortly. In the mean time, if you are part of the Apple Developer Program and are involved in the testing of iOS 11.1, then make sure that you grab the update as an over-the-air update right now from Settings > General > Software Update. Those who want to go through iTunes way of updating or clean installing can do so by downloading the relevant IPSW file from developer.apple.com. Update x1: Here are all the changes in second seed of iOS 11.1: iOS 11.1 Beta 2 Changes: Check Release Notes And Changelog In Full Right Here. Update x2: iOS 11.1 beta 2 now available to public testers of Apple Beta Software Program as well.